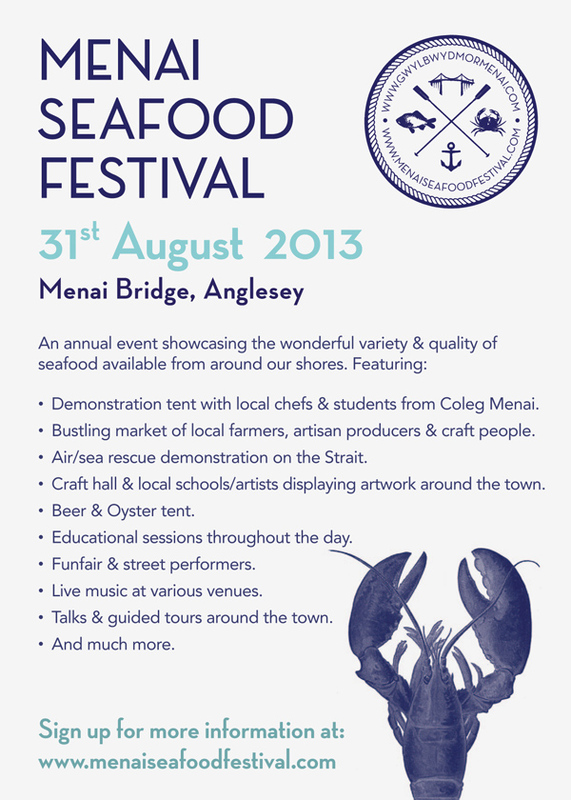 Menai Seafood Festival: this Saturday August 31st! So, moving on very swiftly from the Green Man I’ve barely had time to draw breath before its full steam ahead with preparation for Saturdays Menai Seafood Festival, a day of FREE activities and entertainment for adults and children. I’m booked to help team lead the chef demonstration tent where I will be introducing a host of talented chefs including Michelin star chef Bryan Webb (Tyddyn Llan), Aled Williams (Cennin), Rob Alexander (The Black Lion), Neil Davies (Dylan’s) and Rowan Clark with her team from Coleg Menai. They will be sharing tips on how to cook and prepare a variety of local seafood dishes. To conclude proceedings I will be doing a joint demo with local fish monger Matt White who will show you how to fillet fish while cook up two quick fish dishes. Recipe cards will be available to take home and lots of tasters handed out to try. 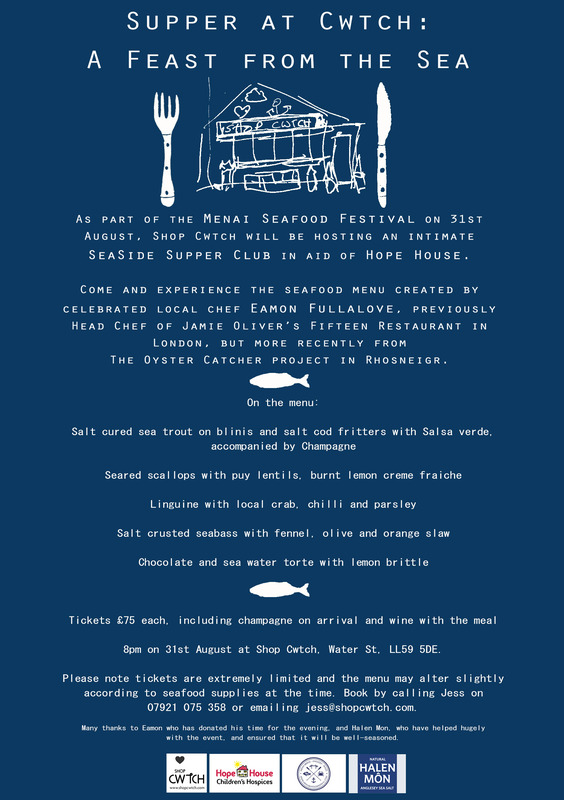 …and finally to finish the weekend and wind up this inaugural Seafood Festival there will be one last night of live music on Sunday 1st September. Six local bands will close the festival with an eclectic mix of music. 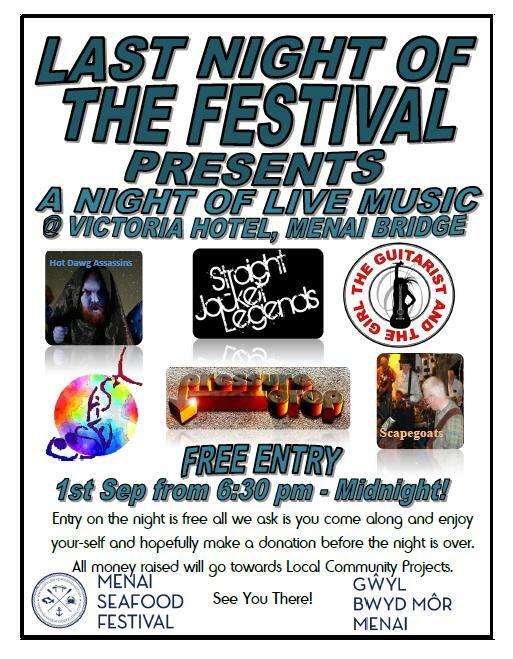 The Victoria Hotel, Menai Bridge are hosting this FREE event, although donations will be collected during the night which will go to supporting local community projects. What a great way to end a fab weekend….Hopefully see you there! !